You’re tired of living without the full function of all your teeth, but what can be done about it? Your local dentist says the most effective way to restore your smile is with dental implants in Tomball, and as you read on you’ll learn the 6 simple steps to completing the process, which will allow you to once again speak with more clarity and enjoy a host of other benefits. This Dentist in Tomball Says to Stop Skipping Dental Visits! Everyone wants to keep a healthy, strong smile, but many don’t know everything that they need to do to maintain it. *Hint* It takes more than brushing your teeth every once in a while! A critical portion of smile maintenance is actually visiting your dental office for preventive care appointments. 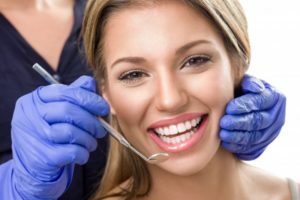 Preventive dentistry in Tomball allows your dentist to catch oral health problems very early on so that they can be addressed, keeping your smile truly healthy for years to come. 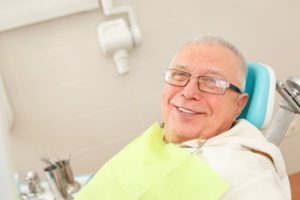 Learn more about why preventive care appointments with your dentist are crucial to keeping your teeth and gums strong and beautiful over the years. Comments Off on This Dentist in Tomball Says to Stop Skipping Dental Visits! No Teeth? 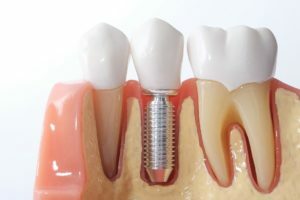 No Problem With Dental Implants in Tomball! It goes without saying that missing teeth can have a huge impact on your life. From feeling embarrassed about the gaps in your smile to being forced to avoid certain foods because they’re too difficult to chew, going without teeth is a huge hassle! The good news is that we can help. 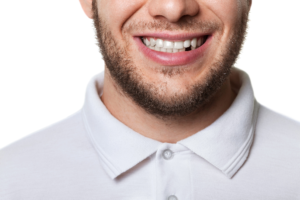 We’ve provided dental implants in Tomball for many years and have seen firsthand the positive effects this procedure can have on our patients’ lives. Implants don’t only look and feel better than other tooth replacement options, they last longer, too. Keep reading to learn more! Comments Off on No Teeth? 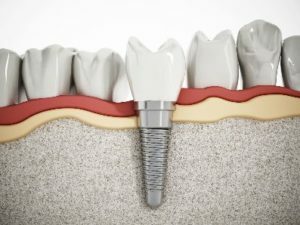 No Problem With Dental Implants in Tomball! 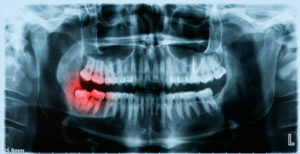 That nagging wisdom tooth in the back of your mouth has become a problem, and now it’s time to extract it, but you’re wondering what to expect. Will this be a complicated process? Should you be worried? Your local dentist says you shouldn’t feel stressed because you can now get answers to all of your questions about oral surgery in Tomball. Learn more about the process as you continue reading. So many of us rely on it to give an extra boost or start to our morning routine: that’s right, a nice, warm, soothing cup of brewed coffee. Of course, many of us may not touch the stuff if it wasn’t sweet enough to combat the bitterness. If that’s the case, did you ever consider how much that added sugar is contributing to your plaque buildup? 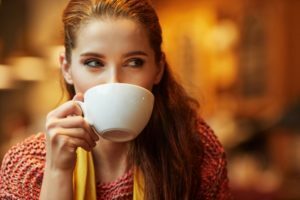 Your dentist in Tomball isn’t asking you cut coffee out entirely (even though it can stain your teeth) so instead, they’re offered some tips to cut out some of the sugar. So, you’re finally going on that first date with the girl from work that you’ve had a crush on forever. You take her out to dinner, have great conversation and even manage to make her laugh a few times. As you drop her off at the end of the evening, you go to give her a goodnight kiss, but she dodges and kisses your cheek instead. You can’t help but wonder… did you have bad breath? If you’ve ever been in this situation, you probably want to be sure that you never miss a special moment again because of something as simple as bad breath. But what causes it, and how can it be prevented? A Dentist in Tomball talks more about this potentially embarrassing problem that can affect anyone. As you go about your day, you never expect to have a tooth knocked out, but it occurs more often than you might think. In fact, the American Association of Endodontics estimates that five million are knocked out each year in both children and adults. Often, it is the result of a sports-related injury, which accounts for as many as 39% of missing teeth. After it occurs, you may feel as though the tooth is gone for good, but this is not always the case. If you react quickly and call your emergency dentist, it may be able to be reinserted back into the socket. Are you ready to stop feeling insecure and living with the challenges of tooth loss? That is great! You have made the choice to invest in your oral health and quality of life with dental implants. While you are excited to regain a complete smile, you are also a bit apprehensive and confused about the procedure. The terms your dentist is using may seem like a foreign language, further adding to your anxieties. To give you the peace of mind and understanding you need, there are a few key terms you need to know before your treatment. Truth be told, avoiding a root canal is what actually causes excruciating dental pain. That’s right, the pain associated with this dental procedure is actually stemming from the present problem, not the actual treatment. If you’re ready to learn more about how a root canal can help you relieve dental pain, you’re in the right place! The health and beauty of your child’s smile is important, which is why you promote oral hygiene and maintain their preventive dental appointments. 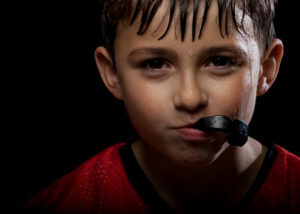 However, if your child participates in sports and does not use a sportsguard in Tomball, you are placing their teeth and gums at risk of damage. It is a vital piece of protection needed to reduce their risk for a dental emergency when playing sports. If they are not using one, you are essentially sending them out onto the football field without a helmet.